Peptides In Skincare: Do They Really Work? Peptides are the anomaly in the skincare matrix. They shouldn’t work. Yet, it seems they do. But how? Why? How well? So many questions. So few answers. 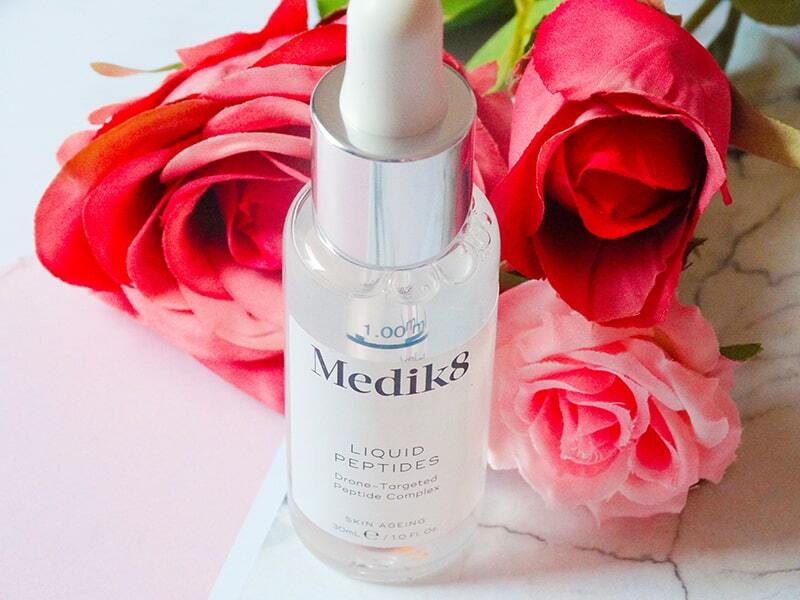 Until you get to the bottom of it, should you really invest a small fortune in a peptide serum? Mmm…. Peptides are made up of amino acids (the building blocks of proteins). They have the same chemical structure as proteins but are shorter in length. You can tell the number of amino acids a peptide has by looking at the name. For example, a dipeptide has two amino acids. Have you ever heard of the 500 Dalton Rule? A dalton is an unit of mass. Anything that’s under 500 Daltons can easily penetrate skin and anything that’s over 500 Daltons can’t. Of course, there’s always an exception or two. But these are few. There’s a reason why you need to take a pill or get an injection if you’re ill. Even most meds can’t penetrate skin deep enough to work and heal you. Peptides are NOT one of the exceptions. They’re over 500 Daltons so they shouldn’t be able to penetrate skin at all. How the heck can they possibly work? Some experts believe they don’t. Dermatologist Leslie Baumann, M.D. think they’re another useless fad. Maybe she’s right. But then, how can you explain the results of these studies? Related: Types Of Peptides Used In Skincare: Which Ones Are The Best? First things first. Most studies on peptides are done by the manufacturers. Not exactly the most reliable of sources, are they? But, there are a few independent studies that seem to suggest peptides are effective. An example? A 12-weeks, double-blind, placebo-controlled, split-faced clinical study comparing a moisturizer with palmitoyl pentapeptide to a placebo has found that the peptide formula significantly reduced fine lines and wrinkles by increasing the production of collagen. Another study confirms the ability of palmitoyl oligopeptide to stimulate the production of collagen when used twice a day for six months. I know, the evidence is scant. But it’s just about enough not to discontinue peptides as an useless fad. Question now is: if they can’t penetrate skin, how the heck can they do all this? One theory is that peptides are cell-communicating ingredients that work through signalling. Let me say that again in plain English. When collagen breaks down, your body makes specific peptides that tell your skin it’s time to pump out more. When you apply peptides to your skin, the same thing happens. The peptide stays on top of your skin and say, “hey skin, you’ve just lost some collagen. Make some more, please. And quickly, too!”. Your skin falls for it, and does the job. It now has more collagen so it’s more firm and elastic. What are the best products with peptides? Peptides sort of work. But until we know how and what the most effective peptides are, I don’t recommend you spend small a fortune on a serum only because it has peptides. 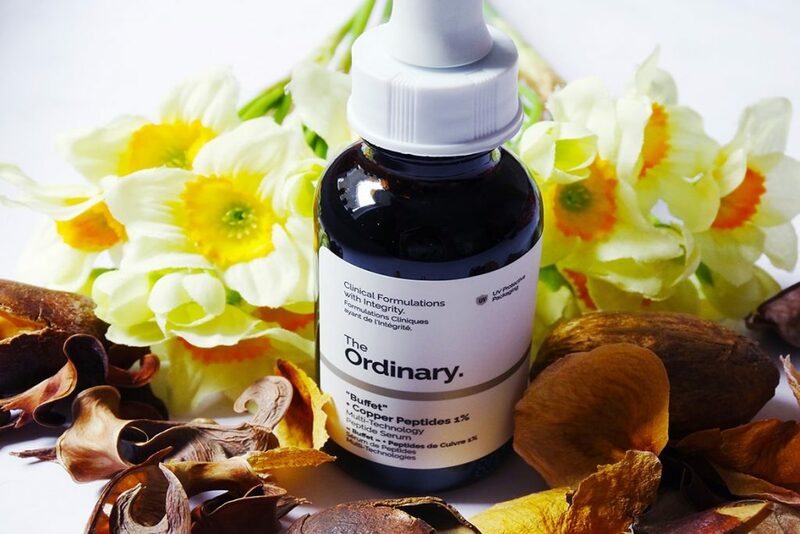 Either try a cheap option or use products with proven antiagers like antioxidants and retinol that also have peptides. That way, if they don’t work, no harm done. If they work, it’s just a bonus! 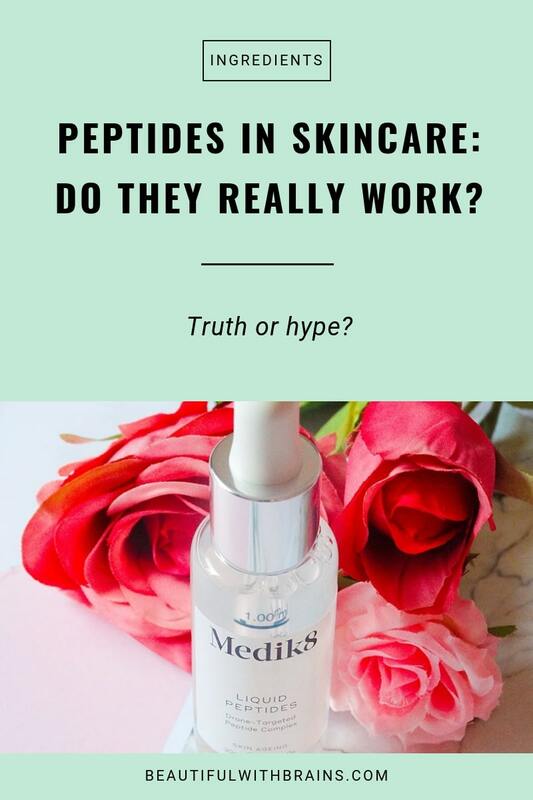 What do you think of peptides? Share your thoughts in the comments below. The timing of this post couldn’t be any better! I was just looking into that new Clinique eye cream. Off topic, but I wanted to ask, are using any Vitamin C serum at the moment or which one has worked for you? Also, if you’ve used the Drunk Elephant one? Yes, I’m using the Skin Active Vitamin C Serum at the moment, and am very pleased with it. Paula’s Choice makes a good one too. The Drunk Elephant one is certainly on my wishlist. It’s very well-formulated, and I like it’s fragrance-free, too. Are you ever worried about the acidity of the skinactives vitamin c serum? On their website it says it has a ph of 2.1 which is almost near the ph of lemon juice no? I bought 2 of them when they were on sale and I like the ingredients but the acidity worries me a bit sometimes. I’m less worried about the ph of ready made products because they usually also contain moisturizing and soothing ingredients. I’ve used their serum till the last drop and never experienced any side effects. But. if that worries you, there are plenty of products with a higher ph you can choose from. I am using 2% BHA from the Resist line of Paula’s choice with peptides and some other products with peptides, because I am worried about skin sagging. Do you have any suggestions how to firm the contours of the face ? Love your blog ? Bela, thanks. Glad you like it. I am looking up peptides because i have a conture cream called “Safi rania Gold” which contains “oligopeptides”. Julina, I hope you’ve found what you were looking for. Or do you need more information? This is terrible advice. BHAs and AHAs work best at a pH below 4.5 while peptides can be destabilized below a pH of 5. Mimi, just because you don’t agree with one point, it doesn’t mean the whole post is wrong. Can you please give me the link to the peptides research so I can check it out?